Karin is a huge proponent of the wreath in all forms – hung on any door , window or mirror or used as a centerpiece on any table! Follow her no fail steps below to start a tradition of creating your own foraged greenery wreath. Step 2 – Forage for greenery, pinecones, berries etc. Always collect more than you think you will need – it takes about 18 bundles of magnolia to make one generous wreath. Don’t hesitate to use dehydrated fruit, pinecones, or cotton in your wreath. Cotton is abundant in the south but not accessible for clipping (cotton growers don’t take kindly to strangers in their fields) Cotton is also available for purchase in most craft stores. Ribbon can also be added at the end – although some of us are purist and love the look of the simple foraged greenery, fruits, and berries. 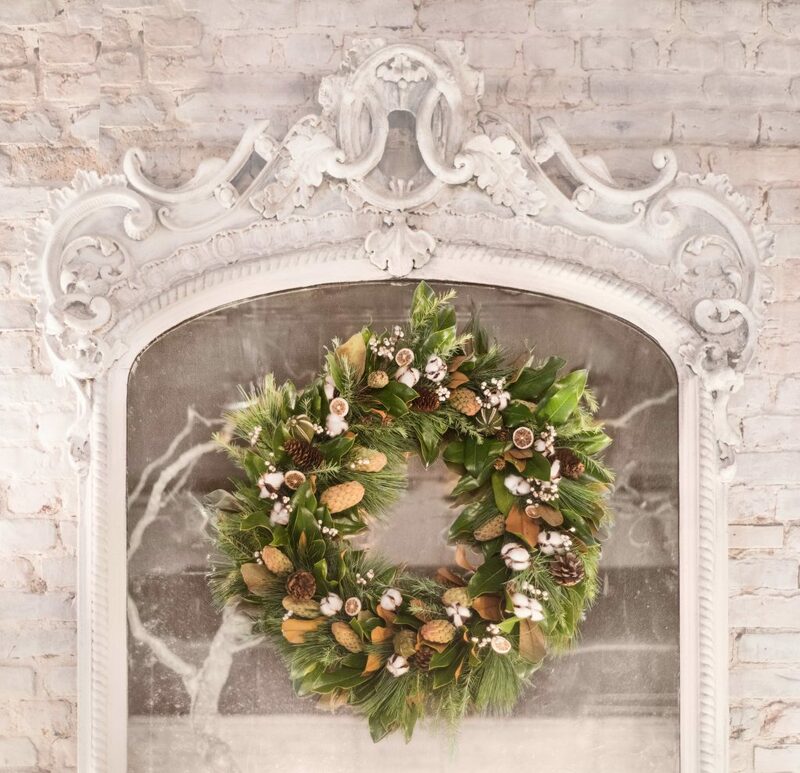 Whether used traditionally on a door or untraditionally in a multitude of other spaces your beautifully handcrafted wreath will make a holiday design statement!